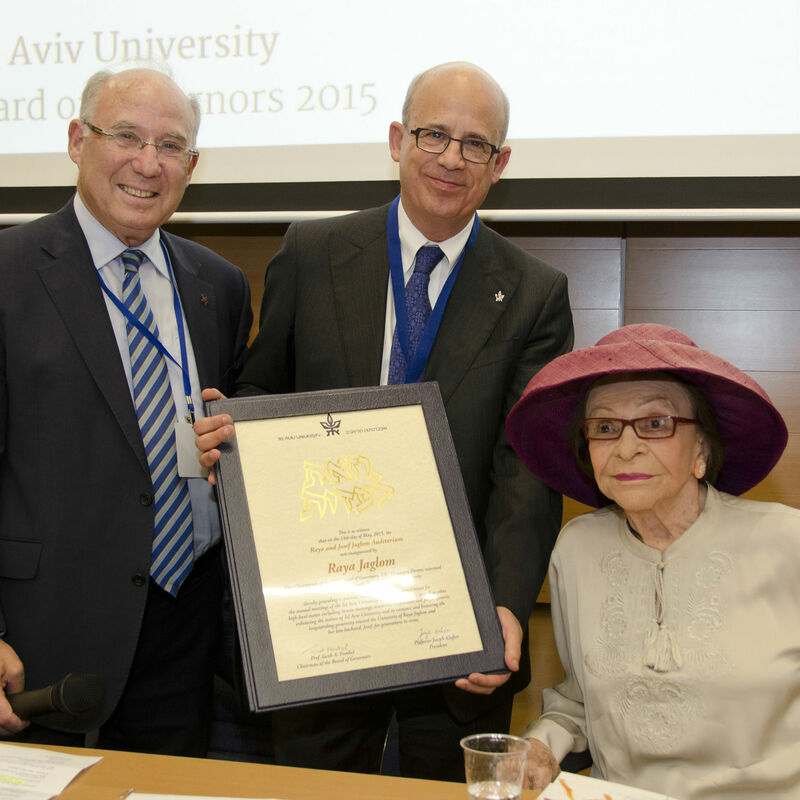 "The story of the Kadar Family Award is the story of an alumnus reconnecting with his academic cradle,” Tel Aviv University President Prof. Joseph Klafter told the packed Raya and Josef Jaglom Auditorium at the official inauguration of the Kadar Family Award for Outstanding Research on May 17 during the university’s annual Board of Governors meeting. “Dr. Avraham Kadar was a graduate of the Sackler School of Medicine, and his entire family has remained connected in every way to the university." Each of the recipients gave personal presentations reflecting the course of his or her academic career and thanking the Kadar family for their generous support. The Kadar family legacy is rich and diverse, led by Dr. Avraham Kadar, a physician, educator, and innovator, and his late wife. Their children Maya, Nadav, and Einat are also TAU alumni and proudly support The Naomi Foundation. Among the foundation’s other initiatives at TAU are the Naomi Prawer Kadar International Yiddish Summer Program and the TAU Global Research & Training Fellowship in Medical and Life Sciences. 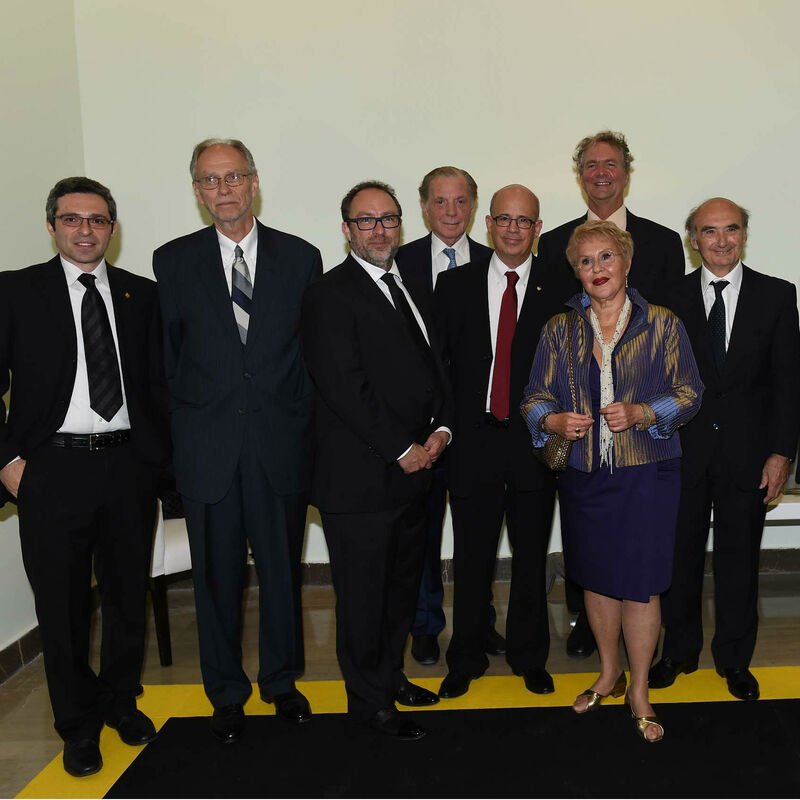 "The Kadar award is singular in many ways,” said Prof. Klafter at the ceremony. “First, it is an internal award, bestowed only on TAU faculty. Second, it is inclusive, honoring outstanding work across the entire spectrum of faculties and disciplines on our campus. Third, it recognizes both senior and younger researchers. Finally, Kadar award recipients have to demonstrate a pioneering spirit – what we at TAU and this award are all about." A pediatrician and NIH-trained immunologist, Dr. Kadar transformed an enduring fascination with science and innovation into two successful careers, first as a researcher and a physician and later as an international entrepreneur. 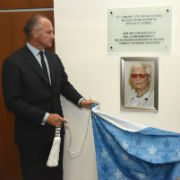 He began his formal studies in physics at Hebrew University, followed by medical training at TAU’s Sackler Faculty of Medicine, with ongoing specialization in pediatrics. He has been a fellow in the Laboratory of Clinical Investigation at the National Institutes of Health in Bethesda, Maryland. Dr. Kadar also trained at the Albert Einstein College of Medicine and Montefiore Hospital in New York and has held faculty positions at the college since 1989, including currently as Assistant Clinical Professor, Division of Allergy and Immunology. He also ran a private practice in New York City and Westchester, NY. "When I turned to Avraham to ask him to support a new prize encouraging excellence, he was very responsive. Today we are beginning a new tradition of promoting excellence in the dissemination of knowledge through research and teaching," said Prof. Klafter. "We are proud of this award and its contribution to raising the profile of Tel Aviv University in Israel and internationally, and we are deeply grateful for it."